TRUNG THUC JSC is distinguished by its team of patent and trademark attorneys and associates with years of experience and in-depth knowledge of intellectual property law and hence TRUNG THUC JSC is confident to meet clients’ requirements. 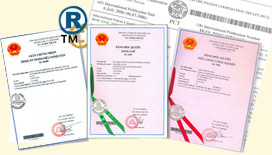 TRUNG THUC JSC is especially proud of its patent attorneys who can handle all patent matters in any technical field. TRUNG THUC JSC is committed to deserve the trust of all of its clients in all respects. Ranking in IP law services for the year 2014 has recently been released and we are happy to find ourselves among the leading firms and individuals thanks to the trust and support of our clients.